Are you looking for discounts to the 2015 Topsfield Fair? The Topsfield Fairs kicks off October 2, 2015 to October 12, 2015 in Topsfield, Massachusetts. Weekday tickets are $11 and weekend/holiday tickets are $15 with parking at $10. Children under 8 are free with a paid adult. Groupon Boston is offering a daily deal for $20 for admission for two and also includes skip the line for the Topsfield Fair. Limit is 5 per person and is not valid in combination with any other offers, discounts, or promotions. 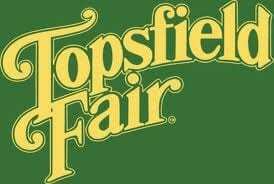 Also, AAA are selling discount tickets to the Topsfield Fair for $9 (for both weekday and weekend) through the end of business day on October 1, 2015. You can buy discount tickets online through AAA, but you do need to pay for shipping which pretty much cancels out the savings, so I would recommend heading to a local AAA branch instead if you are a member. Last year I called an AAA branch in the North Shore and they said the tickets were quite popular so once they sell out, they will not be receiving anymore. You may want to call and head over to AAA soon to get the discount tickets if you can. I’m sure tickets will be popular again this year at AAA. Senior Citizens Day is October 5, 2015 with $8 admission for senior citizens 60 and older. Military Day is October 6, 2015 with free admission for active military and their immediate family members with proper identification. For more information about the Topsfield Fair or ticket information, please head here. Will you be attending the Topsfield Fair this year?